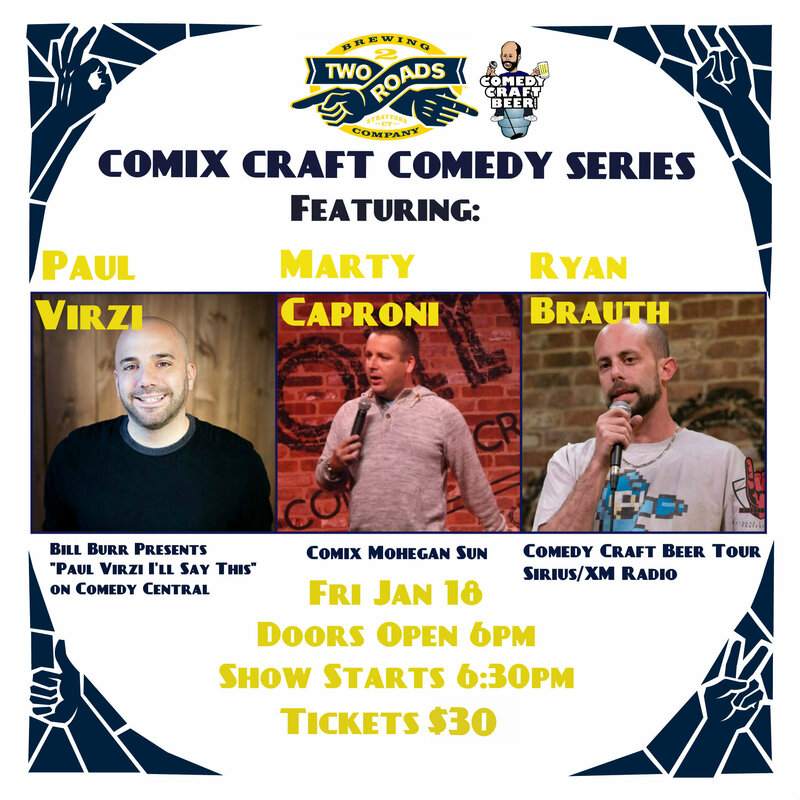 0Come and join us for the Comix Craft Comedy Show at Two Roads Brewing Co. On Friday January 18th, we have an outstanding group of comedians that will take the stage!! There will be a happy hour from 6:00-6:30 pm! The Comedy show itself will begin at 6:30 pm. Free tours after the show, at 8:30 pm!